The eLyte can also be used as POTS copper-fibre converter for fibre reticulation within buildings or large sites. The eLyte system is designed for voice and low bandwidth data applications. The system consists of two separate electronic modules interconnected with a pair of fibre optic cables. The equipment is typically mounted within a specially designed isolation cubicle although other installation options are available. The exchange side module is powered via the telephone line. The customer side is powered locally from a 20 – 48 Vdc supply. 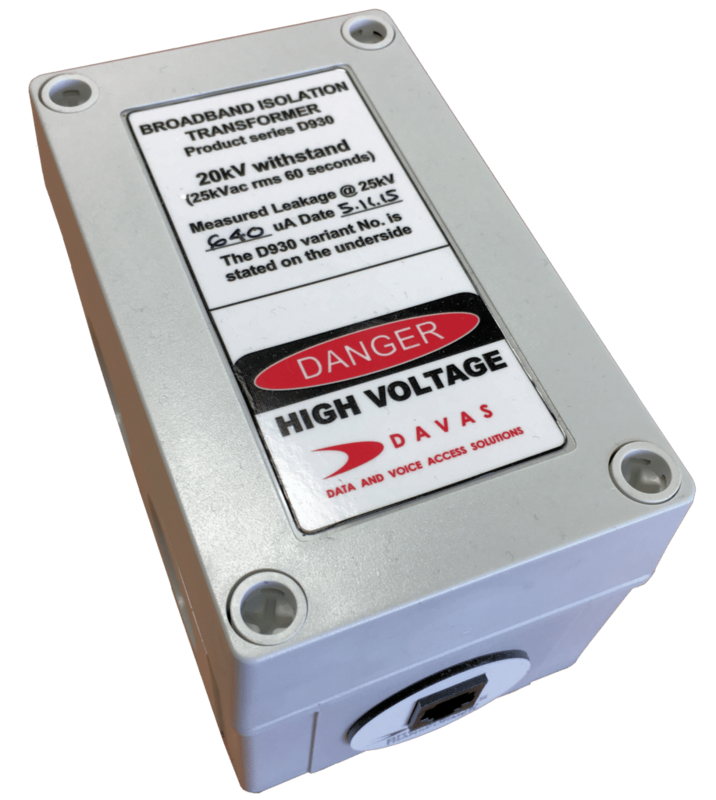 For broadband circuit isolation, the Davas D930 broadband transformer is available. This has a bandwidth of 25 kHz – 20 MHz and 25 kV isolation. This broadband isolation transformer provides 20 kV isolation for copper broadband circuits entering hazardous EPR zones (either via direct copper POTS or copper circuits originating from FFTN or FTTK). Submit the form below and we’ll get back to you ASAP. 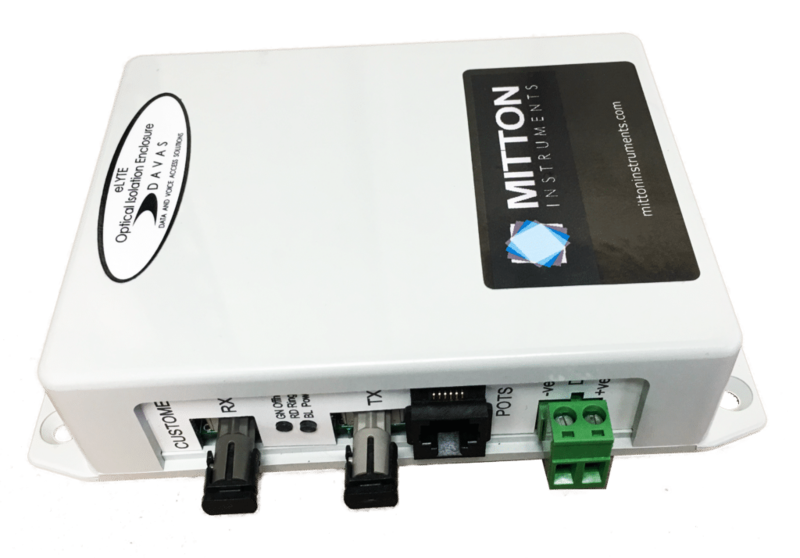 Founded by Tony Mitton (BE (Elect), MIET, MIEEE) in 1999, Mitton Instruments designs and manufactures specialised earth test equipment for the high voltage power transmission industry.